The woman was instead treated for lower back pain. Charlotte Foster's symptoms were not treated. A WOMAN DIED after side effects from the combined contraceptive pill were not treated, a UK coroner has concluded. BBC News reports that Charlotte Foster presented to a doctor with a pulmonary embolism on 4 January but her symptoms were misdiagnosed and she was instead treated for lower back pain. The inquest found that her contraceptive pill, Dianette, should have been stopped when the side effects brought her to a GP. The 23-year-old’s mother reportedly told the inquest that her daughter had heart palpitations and had messaged her family on New Year’s Eve to say her ribs hurt and she could not lie down or breathe properly. Celia Foster told the inquest that her daughter told her that she was told by the GP to go for a massage or a spa day. Speaking at the inquest, GP Sunil Simon said that when she presented to him on 4 January in Newport, Shropshire that he did not note any signs of respiratory distress or shortness of breath. Charlotte Foster died three weeks later on 25 January when she collapsed at her workplace. The coroner is to review the matter and will decide whether to make a referral to the UK’s General Medical Council. 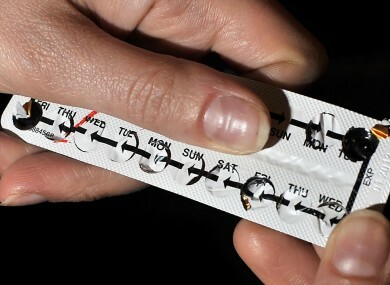 Email “Woman dies after 'side effects from contraceptive pill were not treated'”. Feedback on “Woman dies after 'side effects from contraceptive pill were not treated'”.